Charged (CleAnweb Gamified Energy Disaggregation) develops a gamified framework that aims to change energy-consumption behaviors and reduce energy waste in public buildings by leveraging iot low-cost devices (NFC/BLE) to improve energy disaggregation mechanisms and identify energy wastages at the device, area and end user level and are targeted by a mobile app for user engagement and motivation. enCOMPASS (Collaborative Recommendations and Adaptive Control for Personalised Energy Saving) will implement and validate an integrated socio-technical approach to behavioural change for energy saving, by developing innovative user-friendly digital tools to make energy consumption data available and understandable for different stakeholders (residents, visitors, public actors, building managers, utilities and ICT-providers) in ways that empower them to achieve energy savings and manage their needs in energy efficient, cost-effective and comfortable ways. It will demonstrate how this can be achieved with a holistic approach that integrates visualisation of energy data collected from smart sensors, user-generated information and context-aware collaborative recommendations for energy saving, intelligent control and adaptive gamified incentives. The overall aim of MOBISTYLE (MOtivating end-users Behavioral change by combined ICT based tools and modular Information services on energy use, indoor environment, health and lifestyle) is to raise consumer awareness and awareness of ownership, thus empowering consumers and providing confidence of choosing the right thing, by providing attractive tailor-made combined knowledge services on energy use, indoor environment, health and lifestyle, by ICT-based solutions. This awareness will support and motivate end-users to well informed pro-active behavior towards energy use, energy efficiency and health. OrbEEt (ORganizational Behaviour improvement for Energy Efficient administrative public offices) proposes an ICT-based framework to induce behaviour change toward energy efficiency by transforming energy measurements into personalized feedback delivered through engaging user interfaces. To achieve this challenge, OrbEEt foresees dynamic, spatially fine-grained extensions of building-level Operational Rating methodologies and Display Energy Certificates to provide a detailed view of energy use in office spaces, business processes and organizational entities rather than entire buildings. The fusion of information from Building Information Models, Business Process Models and real-time energy use measurements will be performed via a comprehensive ICT cloud service - the Systemic Enterprise Operational Rating framework. This will enable energy use tracking and will establish direct accountability of people, processes and spaces toward overall consumption. EnerGAware aims to decrease energy consumption and emissions in an affordable housing pilot and increase the affordable housing tenants’ understanding and engagement in energy efficiency. The project will develop and test, in 100 affordable homes, a serious game that will be related to the actual energy consumption (monitored via smart meters) of the user’s home and will be included in social media and networking tools. Users will be thus able to learn about the potential energy savings from installing energy-efficiency measures and to balance the energy consumption, comfort and financial cost of their actions. Energy savings will be achieved both virtually in the game (calculated by building performance simulation) and in reality (actually measured through smart meter data) and will enable the progression of the serious game. The social media features will provide users a platform to share data of their achievements, compete with each other, give energy advice, as well as, join together to form virtual energy communities. The EnerGAware solution will be implemented and deployed with a cleanweb philosophy in mind. The GreenPlay project’s objective is to raise awareness among citizens through the implementation of a real time monitoring energy consumption platform and the development of a serious game. The envisaged system will consist of the following elements: Monitoring energy consumption in real time, web-based platform to monitor its consumption, advice and challenges available for users on the platform to reduce consumption and a serious game to raise awareness of users. GreenPlay’s demonstration will take place in three European cities and reach at least 200 homes that will be located in publicly or privately owned buildings. The overall objective of the TRIBE project is to contribute to a behavioural change towards energy efficiency in public buildings, through the users’ engagement via playing a social game that will be linked to real time data collected from the pilot buildings including academic, living and workspaces environments. Existing monitoring systems and low-cost ICT technologies (wireless sensors, smart meters, smart plugs, etc.) will be assumed to feed the game with real time data from the pilot buildings. The developed serious game will enable the dynamic interaction between buildings and users and will motivate changes in the players’ behaviour. It will be implemented through social networks, to allow the exchange of information and experience between the users and to promote a group behaviour change. The project ENTROPY (Design of an innovative energy-aware it ecosystem for motivating behavioural changes towards the adoption of energy efficient lifestyles) focuses on the design and deployment of an innovative IT ecosystem that will improve energy efficiency through consumers understanding, engagement and behavioural changes. Emphasis is given on the collection of energy-related information from heterogeneous data sources, on the proper analysis of the available data and on the provision of interactive services, applications and serious games to end users for motivating their interest on energy efficient activities, for providing recommendations to adopt more energy efficient lifestyles and for increasing their overall energy consumption awareness. The project will consider the integration of information collected from a set of sensor networks and the exploitation of mobile crowd sensing activities along with the implementation of processes for monitoring, reporting and analysing sets of data with regards to energy consumption and the behavioural profile of citizens. ENERJ (Joint Actions for Energy Efficiency) will support local governments in achieving energy efficiency targets in their own municipal building stock through joint actions in a multi-level governance approach. It aims at enhancing and improving the coordination of Sustainable Energy Action Plans (SEAPs) and other relevant energy Efficiency Plans, in order to reach Energy Saving and the national targets on public buildings’ energy efficiency. The project will develop and test a technologically oriented methodology that focuses on increasing cooperation among public authorities through Joint Actions. 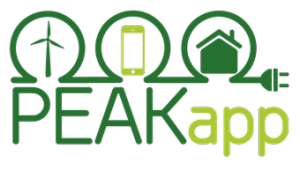 The project PEAKapp (Personal Energy Administration Kiosk application: an ICT-ecosystem for Energy Savings through Behavioural Change, Flexible Tariffs and Fun) aims to motivate users behave in a more energy efficient manner by offering individualized saving opportunities. It will dynamically offer discounts during peaks of electricity production from renewable energies to enable the users in the households to actively reduce their personal carbon footprints. The project will also research and facilitate behavioural change to develop a deeper understanding of the engagement-enhancing capabilities of social networks and serious gaming in an energy efficiency context. The project GAIA (Green Awareness in Action) focuses on the educational community; faculty, staff, students and parents at all levels of education: primary/secondary/high schools and universities. The objective is to raise awareness among young people and motivate changes in their behaviour and habits concerning energy usage. GAIA will create an innovative ICT ecosystem (including web-based, mobile, social and sensing elements) tailored specifically for school environments, considering both the users (faculty, staff, students, parents) and buildings (schools, universities, homes) that will motivate and support the users’ behavioural change to achieve greater energy efficiency. 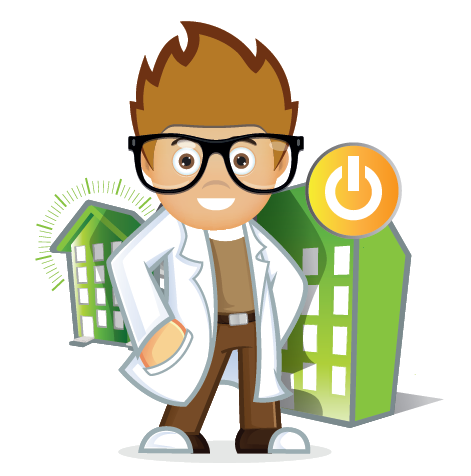 The project DR.BOB (Demand Response in Blocks of Buildings) focuses on Demand Response programs which encourage consumers to change when they use electricity or reduce their total energy use can help keep energy bills low and help integrate renewables into our existing energy networks. The project will pilot the tools and techniques required for demand response in blocks of buildings with differing patterns of ownership, use and occupation. It will develop a Virtual Energy Plant (VEP) platform for forecasting, scheduling and optimizing demand response schemes for load shedding and shifting, a Local Energy Manager to run optimization scenarios for production, storage and consumption at the building/building cluster level that integrate with the BMS taking weather and market prices into account and a Consumer Portal to be used as an online guide and stimulation tool for engaging energy users based on gamification, challenges, visualization of processed data and direct contact. 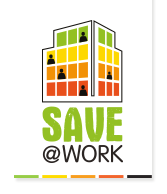 SAVE@WORK aims at designing an energy saving competition between 180 public office buildings over 10 participating European regions. Each building will form its own Energy Team, which will receive the support and training needed to carry out a simplified energy audit of their building. On the basis of the energy audit, staff will be supported in drawing up an action plan of low cost and behavioural change measures as well as longer-term measures for possible investment in building renovation. This action plan will be further assisted by a specially developed online calculation tool to which the Energy Team will regularly add meter readings thereby showing staff how much energy the building is saving against its consumption in previous years. At the end of the competition period the winners for both the national and European wide competitions will be selected, based on a methodology developed within the project. GreenSoul (Eco-aware Persuasive Networked Data Devices for User Engagement in Energy Efficiency) focuses on achieving higher energy efficiency in public buildings by changing the way people consume energy when they use shared devices (e.g. lights, printers) and personal devices (e.g. personal pluggable appliances). The project aims to increase the user energy-awareness and change the e-consumption habits and include intelligence in the devices to let them autonomously decide about their operation mode to increase their energy efficiency. The project will use a range of techniques, from persuasive social applications to physical interaction mechanisms linked to the devices. The developed system will be deployed in five building pilots at different climatic areas and associated to different usage and facilities, ensuring the cross-country and cross-building analysis of the project impact. The main objective of bestenergy (Improving the energy efficiency in buildings) was to improve the energy efficiency in public buildings and street public lighting by the ICT-based centralized monitoring and management of the energy consumption and production, and to provide the necessary tools for energy saving decision-making. Emphasis was given on collecting energy consumption information using Building Management Systems, Active Functional Specification Systems, Plug Control systems etc. Also, the project focused on identifying means for informing the users (building operators, building employees and building visitors) about the buildings’ energy consumption in order to motivate their coordinated reaction to improve energy efficiency. The main information dissemination solutions were interactive websites, giant screens and informative workshops/seminars. The project SmartBuild aimed at providing social-economic benefits to building users, building managers, public authorities and distributor network operators. It involved 9 pilot buildings that were equipped with numerous sensors to measure energy streams and comfort parameters within each of them and to control remotely the appliances’ and it also considered an off-the-shelf “Far Echo” ICT system in each pilot building. For the non-specialized building occupant a further feature was integrated that enabled her/him to give “real-time” feed-back about building comfort and satisfaction with the ICT system functions. The project eSESH (Saving Energy in Social Housing with ICT) aimed at achieving sustained reductions in energy consumption across European social housing based on ICT services for Energy Management (EMS) and Energy Awareness (EAS) directly to tenants, by providing effective ICT monitoring and control of local generation of power and heat and by enabling social housing providers, regional and national governments with the data needed to optimize energy-related policy and investments. Moreover, it was made possible for tenants to compare their consumption with other consumers or with an 'average' tenant, to see their energy consumption by square meter, to compare their actual consumption with their consumption in the past year or month and to access a forecast of their consumption. The SMARTSPACES project aimed at reducing energy consumption of the public sector by a very significant amount to meet overall emission reduction targets. The project built on existing services to develop a comprehensive SMARTSPACES service providing feedback on energy consumption. The range of public buildings where the SMARTSPACES service was implemented and operated was wide and included city administration buildings, office buildings, museums, university buildings but also schools, nurseries and sports and event centers. The key SMARTSPACES service components were the following: Energy Decision support services that provided up-to-date energy consumption information supporting the choice of energy consumption behaviour by building visitors or staff, energy management services providing a local building controlled energy management system and addressing automatic control of local renewable energy generation and peak energy consumption saving. Developed an energy management and control system to improve the energy performance of hospitals and other public buildings, through a better management of energy resources and losses reduction based on web-based Energy Management and Control Systems – Web-EMCS – which integrates model based energy saving algorithms. Pilot demonstration and validation, with the Energy Action Navigator (EAN) a software tool, linking hardware and software mature technologies, smart monitoring & control systems, energy simulation and energy action management, with objective to drive the whole chain of stakeholders in an Energy Management Programme (EMP) and users in the execution of an effective Energy Management System (EnMS). Data gathering platform that integrates real time information systems and intelligent energy management systems. Both the user and the building learn how to interact with each other in a more energy efficient way. ICT supported the user behaviour transformation through the interaction between the user and the building’s intelligent energy management system. However, behaviour change is achieved toward the hardware used for highlighting and monitoring on their effectiveness rather than analysis of user behaviour This project targets public buildings, located in universities, and users are mainly the professionals that maintain the system. eTEACHER (End-users Tools to Empower and raise Awareness of behavioural CHange towards EneRgy efficiency) aims to reduce energy consumption through more conscious energy behaviour of energy end-users in a wide range of buildings and through tailored methods and strategies. Changes in users’ behaviour have significant potential to reduce energy consumption in buildings. These changes include those ones motivated by innovative technological interventions. However, in this case it is important that users are not only informed but also sufficiently consulted, trained and supported regarding the technological changes to avoid poor performance in practice. The design of this project, incorporating social studies, consultation and testing of innovations, responds to this challenge to enable efficient and effective deployment of Information and Communication Technology (ICT) to encourage behavioural change..